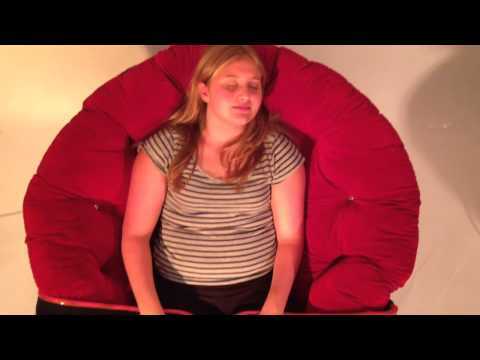 Sensory Perception Chairs are focused on the heart and the breath. These comfortable, papasan chairs are sensitive to seated participants. These chairs create a novel experience for a participant by reflecting aspects of their own physiology. Similarly, via visceral presence, the chairs translate subtle, physiological, phenomena into an encounter for observers. Like the fish, perhaps not realizing that it’s swimming in water, we may not always notice that our perception is modified by the media that permits its functioning. The Sensory Perception Chairs direct attention to essential aspects of our nature, that media which help form the foundations of physiological state, sensory awareness and our perceptual abilities. The Sensory Perception Heartbeat Chair measures and amplifies the human ECG (electrocardiogram) so that ones heartbeat can be felt, seen and heard. The basic principle of the ECG is that periodic waves of propagated electrical stimulation cause cardiac muscle to alternately contract and relax. These electrical stimulation waves are transmitted from cardiac muscle cell to cell via gap junctions that connect between the cells. The electrical waves spread through the cardiac muscle cells because of cascaded changes in ions between intracellular and extracellular fluid. When the cardiac muscle cells are in a resting (polarized) state, the insides are negatively charged compared to the outsides. Cell membrane pumps maintain this electrically polarized state. Contraction of cardiac muscle is triggered by depolarization. Following depolarization, the cardiac muscle cells return to their resting charge. This process is called repolarization. These waves of depolarization and repolarization result in a changing electrical potential and can be detected by placing electrodes on the surface of the body. 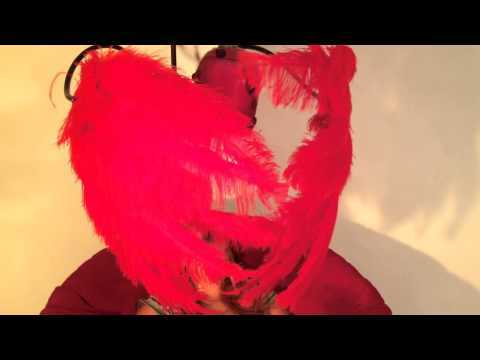 The Sensory Perception Heartbeat Chair operates via the principle of electronic signal amplification. The participants places their hands upon the domed silver surfaces and the detected electrical signal is amplified approximately 30,000 times. The detected signal is the participants ECG, LEAD I. This lead is standardly measured during a medical Electrocardiograph recording. The amplified ECG is directed to haptic (touch sensation) transducers and illuminating light sources placed within the chair. The environment generated within the confines of the papasan chair is fully determined by the participant’s measured ECG. The Sensory Perception Breathing Chair measures and amplifies the participant’s breathing pattern. 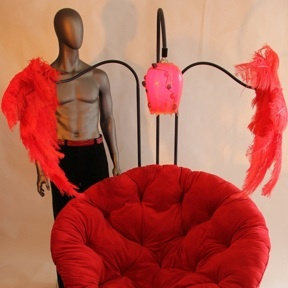 With this chair, inspired and expired breath is translated to the motion of large feather fans that alternately open wide or close around the participant. Feather fans orient attention to the fractal nature of the branching pathways of the lungs.